In our globalized world, ideas are constantly being exchanged between people of different cultural backgrounds. But educators often struggle to adapt to the contexts of diverse learners. Some focus so much on content delivery that they overlook crosscultural barriers to effective teaching. Educator and missiologist James Plueddemann offers field-tested insights for teaching across cultural differences. He unpacks how different cultural dynamics may inhibit learning and offers a framework for integrating conceptual ideas into practical experience. He provides a model of teaching as pilgrimage, where the aim is not merely the mastery of information but the use of knowledge to foster the development of the pilgrim learner. Plueddemann's crosscultural experience shows how teachers can make connections between content and context, bridging truth and life. Those who teach in educational institutions, mission organizations, churches, and other ministries will find insights here for transformational crosscultural learning. "Masterful weaving of both theory and practice . . . Teaching Across Cultures will be helpful to virtually every audience whether the differences are cultural, generational, ethnic, gender, or regional. We all want to be better teachers. We are all concerned with outcomes as a result of our teaching; this book takes us there as well." "Insightful, practical, stimulating, packed with surprising stories designed to challenge our own cultural assumptions and help sharpen our skills in the art and science of teaching anything to anyone, anywhere." 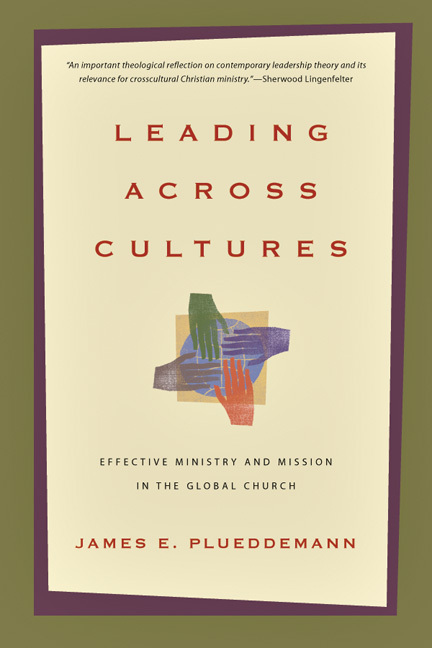 "Jim Plueddemann's book Teaching Across Cultures is a road trip. After each bend in the road, teacher and travelers reflect on discoveries never seen before though looked at many times." "When teaching across cultures, even experienced teachers need a paradigm shift. Jim Plueddemann's teaching model perceives the learner as a purposeful traveler. Plueddemann's lively stories weave throughout the book. I recommend it to missionaries, teachers, pastors, and seminarians—really everyone who wishes to interact with others in this global village." "Jim's breakthrough thinking combining theory and practice in a truly transformative learning cycle, is both profound and simple at the same time. It is profound enough to guide anyone who desires to teach in any culture yet simple enough to remember and apply time after time. We often read books which are complex but ultimately superficial. Reading Teaching Across Cultures is refreshingly simple but startlingly profound. Disciple makers, preachers, and teachers anywhere will profit by a thorough study and practice of this book." "In this exceptionally clear and engaging book the reader is introduced to the challenges of teaching across cultures through both story and theory. The book wins the reader by Plueddemann's willingness to tell stories about his own struggles to teach well crossculturally. The author skillfully challenges readers to think through their assumptions about what good education is and gently points out how our pedagogical preferences might affect our ability to teach effectively across cultures. Highly recommended for anyone who wants to grow as a teacher." "This book is a gift to the global church. Filled with wisdom and experience gleaned across cultures and over time, it offers valuable principles and practical examples to make teaching what it should be—life changing. 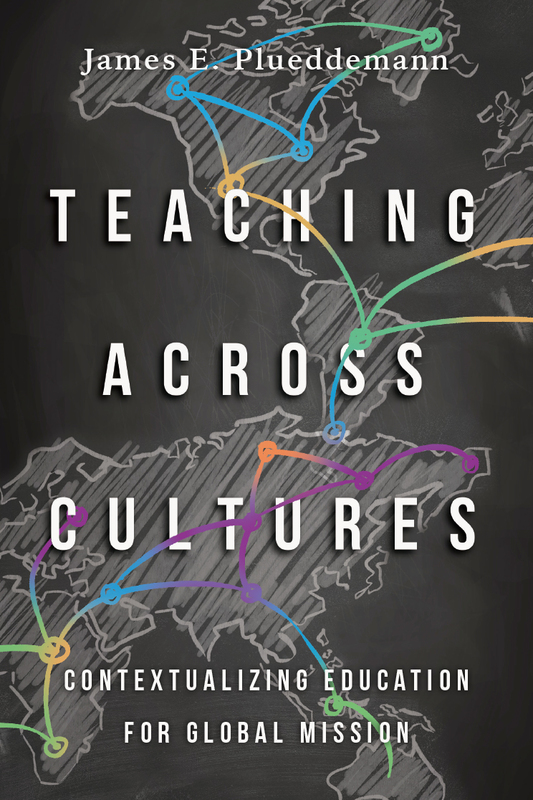 If you're teaching or training in another culture, make sure you pack this book." 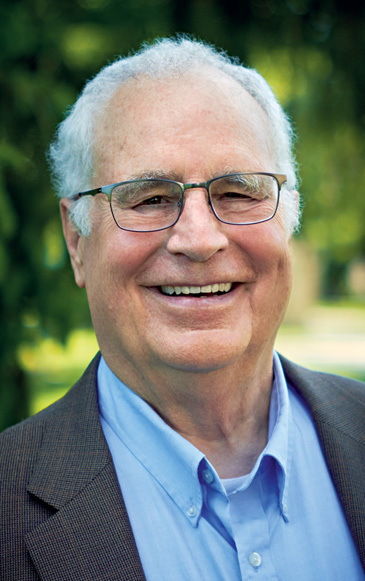 "Dr. James E. Plueddemann, veteran missionary, teacher, and professor, has effectively debunked the myth that teachers merely transfer knowledge to their students. Through the use of numerous metaphors, diagrams, stories, and personal life experiences, he has demonstrated that successful teachers must combine knowledge with an understanding of the culture and experience of students. This extremely rich and practical book should be required reading for all crosscultural missionaries and teachers." "The depth and breadth of Plueddemann's experience and relationships is inspiring and instructive. The fact that it covers so many different contexts is a reflection of the deep commitment and faithfulness that, in turn, produced this helpful resource. Jim is not a mere teacher but instead is a humble, life-long learner, leader, and trainer. He brings the theory down to the ground—in context—in community. Added to that, at the end of each chapter there are voices from all over the globe. And Jim knows that he doesn't know everything . . . or much sometimes! But that is the power of his approach and this tool. This is a tool for trainers and learners. It was a joy to walk through this book, seeing his heart and the depth of his commitment to the subject over the long haul." James E. Plueddemann (PhD, Michigan State), now retired, taught for many years as professor of missions at Trinity Evangelical Divinity School. He also previously served as the chair of the educational ministries department at Wheaton College. He is the author of Leading Across Cultures: Effective Ministry and Mission in the Global Church.